If you have a wood burning fireplace but don’t want to chop your own wood or purchase expensive logs, there’s a cheap and earth-friendly way to make them yourself. Simply save your newspapers and ask friends and family to donate them as well, then follow a few easy steps and you have homemade fireplace logs. 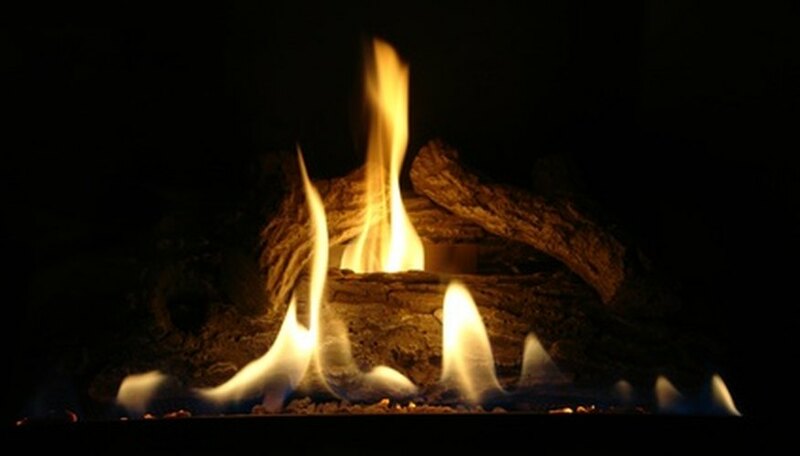 These do-it-yourself logs burn well, produce colorful flames, and can reduce your home heating costs. Cut the old candles into small pieces with a knife or grate them on the big holes of a cheese grater and put the wax shavings in a bowl. Take a 1-inch stack of newspaper, removing all glossy ad inserts. Sprinkle some of the wax shavings between two or three layers of the newspaper. The wax helps the log to burn longer. Roll the newspapers up into a log then tie tightly at each end and in the middle with the cotton string. Fill the bucket or tub with enough water to cover the newspaper logs and let them soak for about an hour. Soaking the logs helps to compress the paper so they burn longer. Take the newspaper logs out of the water and let them dry thoroughly before use. Some people make their newspaper logs during the summer and lay them outside in the sun to dry. This may take a few days to a week for the logs to dry completely. Use these newspaper logs just like wooden logs. They smell better and burn cleaner than wood and have nicely colored flames. Use pine cones as fire starters. Don&rsquo;t use any of the glossy ads since they can produce chemical fumes that may harm humans and pets.